Online tee times are not availabile for Old Course. 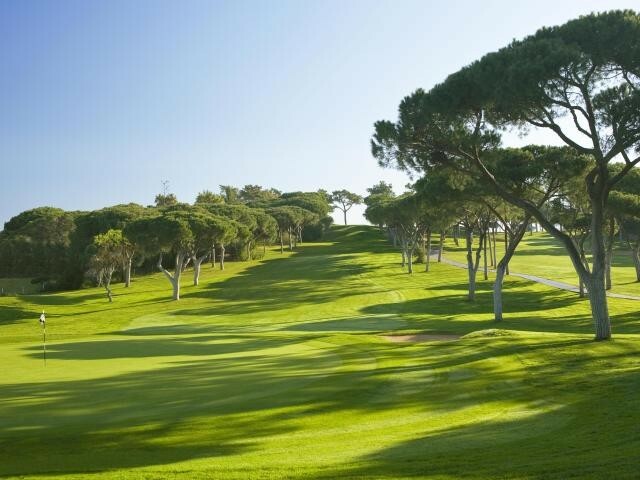 As the second oldest golf course in the Algarve it is affectionately known as the 'The Old Course'. 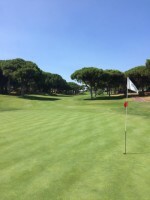 The holes run through an umbrella pine forest and are laid out to take the best advantage of the natural contours of the contours of the land. The course is considered a typical example of the English style of course design. 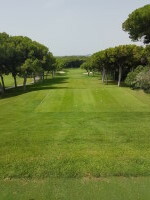 The first few holes are easy for the average player and with a reachable par 4s. The very challenging par 3 on The Old Course is the attractive fourth and is a good potential for a 'Hole in One'. However, good club choice from here is required and accuracy is necessary. The ninth is noted for its demanding play for most golfers. On the back nine there are three challenging par 5s and the sixteenth provides a 522 metre needing good length and accuracy in the shot. We played the Old Course as our first course of our trip, we played twilight at 3.10pm and the pace of play was exceedingly slow with groups backed up in front and behind. The light eventually faded and we ended up playing the last 2 holes in dim light. The course itself was challenging as expecting, with the trees providing very good shelter for what was a reasonably short course off the yellow tees. Keeping the ball in the fairway is a must on this course otherwise you will end up playing most shots around and underneath trees. The greens were in average condition and were slowing than expected. 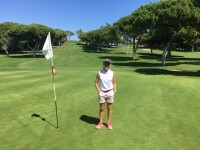 To post a review, score or a notice on Old Course page's or to connect with other Old Course golfers, please log in to your account or sign up using Google or Facebook.